Bugle Inn in Brading has a car park. The pub is a family friendly pub, it has a function room that can be booked. Bugle Inn has an outside area. The pub has a smoking area, it has free WiFi. Bugle Inn has a dart board. The pub has a pool table, it has a big screen. Bugle Inn shows football on TV. The pub has terrestrial TV. Propellor Inn in Bembridge has a beer garden. The pub has a car park, it gives a warm welcome to dogs and their owners. Propellor Inn is a family friendly pub. The pub serves food, it has a function room that can be booked. Propellor Inn has an outside area. The pub serves real ale, it holds quiz nights. Propellor Inn has a big screen. The pub is a member of the BII. A traditional family friendly pub with great home made food cooked to order.2 meals for £9.99 and/or Kids meal for £1 when bought with a large adult meal. Indoor play area and outdoor garden and HMS Caulkheads. Fountain in Sandown shows football on TV. The pub has terrestrial TV. 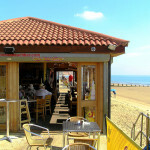 The bar on the beach! A hub for all beach goers Islandwide, who love great food, refreshing drinks and cocktails and the cream of Island entertainment! Tap in Sandown has a beer garden. The pub has an outside area, it has a dart board. Tap has DJ's. The pub has karaoke, it has live music events. Tap holds Poker Nights. The pub has a pool table, it holds quiz nights. Tap has a big screen. The pub shows football on TV, it has Sky Sports. Tap has terrestrial TV. A local friendly bar with live music, BT Sport and jukebox. 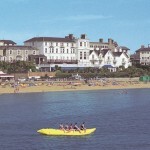 Parkbury Hotel in Sandown has accommodation. The pub has an outside area, it has DJ's. Parkbury Hotel has karaoke. The pub has a pool table, it has a big screen. Parkbury Hotel shows football on TV. The pub has Sky Sports, it has terrestrial TV. Brading Haven Yacht Club in St. Helens has a beer garden. The pub has a function room that can be booked, it has an outside area. Brading Haven Yacht Club has a dart board. The pub has DJ's, it has karaoke. Brading Haven Yacht Club has live music events. The pub holds quiz nights. 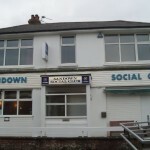 Ocean Hotel in Sandown has accommodation. The pub welcomes customers with campervans, it has a beer garden. Ocean Hotel has a car park. The pub is a family friendly pub, it serves food. Ocean Hotel has an outside area. The pub serves real ale, it has a smoking area. Ocean Hotel shows football on TV. The pub has terrestrial TV. Vine Inn in St. Helens has an outside area. The pub has a smoking area, it has free WiFi. Vine Inn has a dart board. The pub has a pool table, it has a big screen. Vine Inn shows football on TV. The pub has terrestrial TV. Castle in Sandown has a beer garden. The pub gives a warm welcome to dogs and their owners, it is a family friendly pub. Castle has a function room that can be booked. The pub has an outside area, it serves real ale. Castle has a smoking area. The pub has a dart board, it has DJ's. Castle has karaoke. The pub has live music events, it has a pool table. Castle holds quiz nights. The pub has a big screen, it shows football on TV. Castle has terrestrial TV. 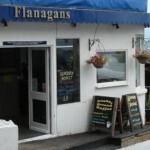 Flanagans in Sandown serves real ale. The pub is a member of Cask Marque.